Stove burner drills have maintained the name even though rarely are they used for drilling stove burners. 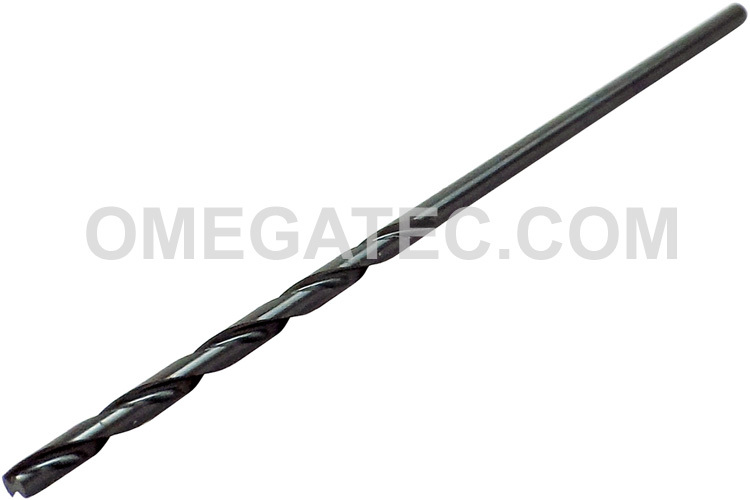 They are excellent drills to hold size in thin materials and are manufactured from high speed steel. Designed with short flutes and sturdy construction with no body clearance to overcome irregularities in cast iron. Recommended for drilling cast iron burners for gas ranges, furnaces, and other gas heating equipment, stove burner drills are used by gas utilities, as well as the airframe industries. Stove burner drill, no point, manufactured from high speed steel. Drill size: #10. Stove burner drill, no point, manufactured from high speed steel. Drill size: #13. Stove burner drill, no point, manufactured from high speed steel. Drill size: #20. Stove burner drill, no point, manufactured from high speed steel. Drill size: #40. Stove burner drill, no point, manufactured from high speed steel. Drill size: #47. Stove burner drill, no point, manufactured from high speed steel. Drill size: #49. Stove burner drill, no point, manufactured from high speed steel. Drill size: #50. Stove burner drill, no point, manufactured from high speed steel. Drill size: #54. Stove burner drill, no point, manufactured from high speed steel. Drill size: #55. Stove burner drill, no point, manufactured from high speed steel. Drill size: #61. Stove burner drill, no point, manufactured from high speed steel. Drill size: #62. Stove burner drill, no point, manufactured from high speed steel. Drill size: #63. Stove burner drill, no point, manufactured from high speed steel. Drill size: 5/64''. Stove burner drill, no point, manufactured from high speed steel. Drill size: 1.23MM. Stove burner drill, no point, manufactured from high speed steel. Drill size: 1.25MM.